Not sure what format a speech should follow? Maybe you're not sure where to begin or how you could possibly finish. You're about to embark on a no-nonsense, down-to-business brainstorming session with me as your guide. 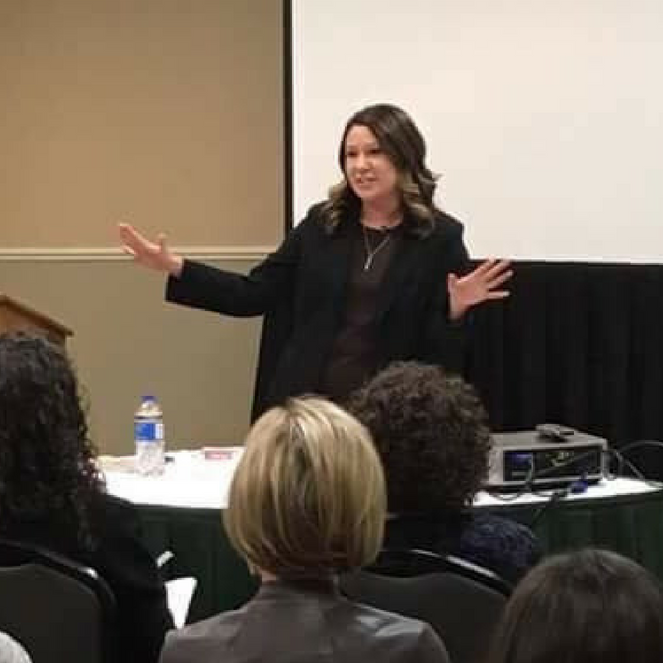 I'm Carrie Sharpe, a Communication Consultant and Speaker who has helped hundreds of people take their ideas and turn them into speeches that make an impact. In an hour, you'll complete an outline for your talk and be ready to move on to the next stage of presentation development. Whether you've never given a speech before, or you just want to create a new one, this course is for you! An hour is going to pass by whether you enroll in this course or not. But at the end of that hour, you could have a completed speech outline in your hands! Enroll now, and let's get it done! Refund policy: We do not issue refunds on digital products. Carrie Sharpe is a Communication Consultant, Speaker, and Co-Owner of He says, She says. She is also Co-Host of the Speaking with Ryan & Carrie Sharpe podcast. Carrie earned her degree in Political Science and Psychology from Lake Superior State University. A highly sought-after international speaker, Carrie develops courses and coaches clients in communication and public speaking skills. Carrie is a Huffington Post Contributor and has been quoted in a variety of publications including LiveStrong, Forbes, Business Insider, and Bustle. She resides in northern Michigan with her husband, Ryan, and their five children. She homeschools her children and works from home.